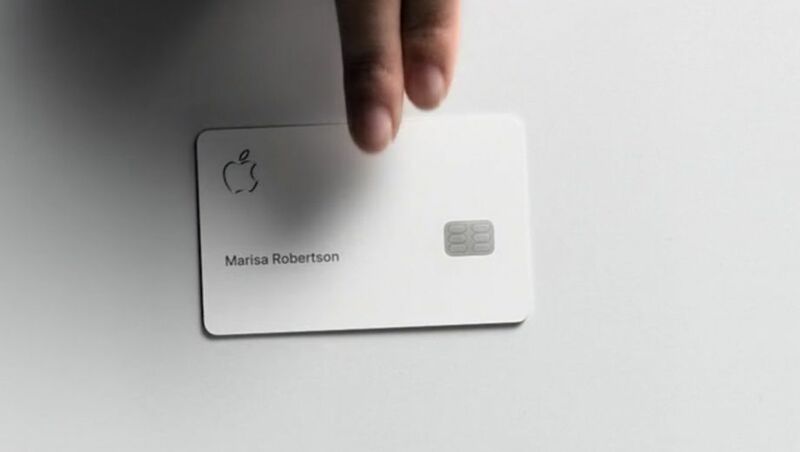 With its typically minimalistic design, Apple's new credit card could be a thing of lust that's most notable for what it lacks. The sheer white laser-etched titanium card won't have a credit card number, CVV, expiration date or signature. Nor will it earn you points. Instead, the physical Apple Credit Card is a mere adjunct to the Apple Pay feature of your iPhone or Apple Watch, and is intended to be used only when the vendor doesn't accept Apple Pay. Issued with Goldman Sachs Group and Mastercard, the Apple Card will let users track spending in the Wallet app, and, the company says, focuses on transaction privacy. Rather than earning points, the Apple Card relies on a cashback program for rewards – including 2 percent cash back on all Apple Pay purchases and 3 percent on Apple Store and services like the App Store. Purchases made through the physical card will get just 1 percent cash back. The discounts are applied straight to your Apple Card to spend or put toward your purchases. The card excludes common charges like annual, foreign-transaction and late fees, Jennifer Bailey, Apple’s vice president of Apple Pay, said. Apple and Goldman Sachs won’t share user data with partners and advertisers. Apple and Goldman are entering the intensely competitive field of consumer credit, where banks have been shelling out costly rewards to encourage consumers to spend through their cards. Banks, which collect a fee from merchants each time a consumer swipes their card at checkout, have been eager to grow their card businesses in recent years and have benefited from low default rates. Apple isn’t new to electronic payments. Apple Pay Cash is a virtual debit card of sorts that lets users transfer money over iMessage and can also be used as a tap-to-pay tool in stores. Apple partnered with Green Dot Bank for that service and has long offered a credit card with Barclays for Apple hardware purchases. Why exactly does this deserve a mention on an Australian site given that it's a credit card that's only available in America? It will eventually work its way out to Australia. Apple will convince some regional bank to tie in with them. John: With credit card interchange capped at 0.8% in Australia, the amount of cashback on offer would be minimal at best if the product ever came to Australia, unless subsidised by Apple to grow market share. They have a bit more freedom to give higher cashback in the US, where merchant and interchange fees are much higher. Whether its by Apple or Google or any other provider they have spend millions of dollars maintaining their infrastructure so won't be giving free points. There is no such thing as free lunch. Would you run a business and provide free service? Because we have a worldwide audience with a keen interest in Apple and credit cards and developments in this area. Comment on "Apple's laser-etched titanium credit card won't let you earn points"